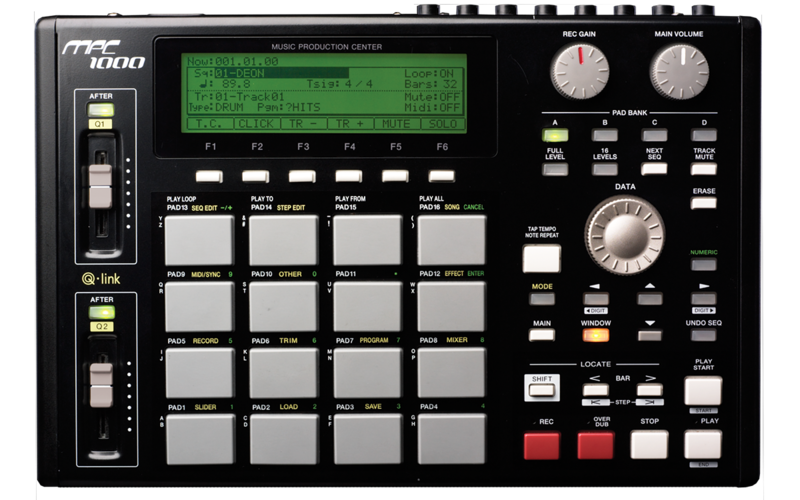 The MPC1000 is one of the best sampling/MIDI Sequencers for under $600. We start off with the back and teach you how to setup all your connection, we explain how to setup your mpc1000 and which cables, midi cable 2 power cable Then we cover the front and teach you how the pads, buttons, knobs, and Q-link sliders work. These lessons will help you understand how the software works on and the best way to get around. In our next lesson we start sampling, teaching you the best way to get your samples recorded, setup input levels, adjust sample time, where to start a loop from, how to chop the sample up, if you need to get parts of the sample, and the best way to edit them so they sound just right. Next it's time to place the samples in a program so we can trigger them from a pad, you'll learn how to set the parameters in the program and ways to stack sample to create new sounds, then we edit the program allowing us to change volume, velocity, pitch, and other parameters, of our samples. Then we need to place our samples into a sequence, to start creating a song sequence, like a verse, intro, or a chorus, and edit the sequence parameters, the length, like 2 or 4 bars, 4/4 or 3/4 time signature, etc. Next we bring in our Keyboard player Diggity Dave Patterson to play keys, we record the midi data, midi notes like C4, middle C, and edit the parameters like velocity, duration etc, to show you how to record midi data into a sequence and then edit the data so when we play it back via midi thru the keyboard so it sound just right. In AKAI MPC1000 Part 2 DVD we take what we've learned in part 1 and use it to make music. Doc takes a sample from a popular record, chops it up, loops samples, adds a new sample from a different record, in edit mode to get the right sample size, next he normalize's it to adjust the sample's level. Now we use program mode to put the samples on the pads and set the right levels and edit our program we even trigger several samples by editing our program to allow 1 pad to play 2, 3 or 4 samples at the same time. Next uses filtering and other effects, to change the sample and give it the cool sound he wants. After that its time to make a Phat sequence so we go to sequence mode set our metronome up get the click right and we start to recording the sequence. Next Doc mixes the tracks up in mixer mode to get the right panning and levels we can even add effects balance the mix and setup for a final run before it's ready. These DVDs cover all the lessons you'll need to rock this great little sampler from AKAI.